Chinese Brush Painting has been my love for over 30 years, and in that tradition I paint from memory and imagination, drawing from my deep love for the mountains and trees of my home. To make my art I blend the more traditional Chinese brush painting materials of watercolor and black ink with hand made paper, bark or linen to create my own blend of art where East meets West. 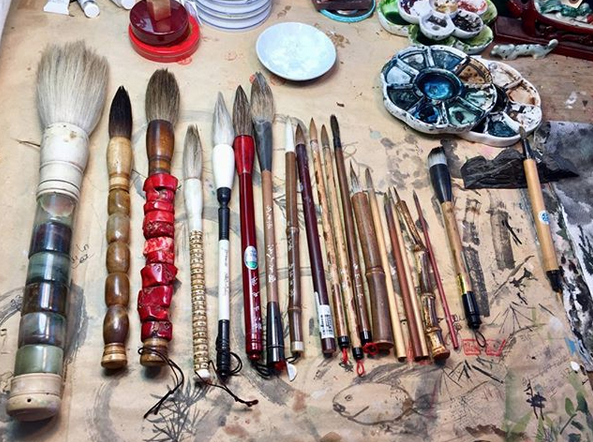 Donna begins with her Chinese bamboo brushes, white ceramic dishes and rich black ink — all the materials of the brush painting tradition and then adds to that her own aesthetic of hand made papers, bark, and raw linen, she says: "I’d use a paper bag if I thought it would work well.” She uses innovative brush strokes and varies a natural color palette to include sparks of rich color. Taking inspiration from the mountains and trees of Vermont and Northern California where she's lived have influenced her painting of pines and birches. She typifies them as "my favorite subjects". 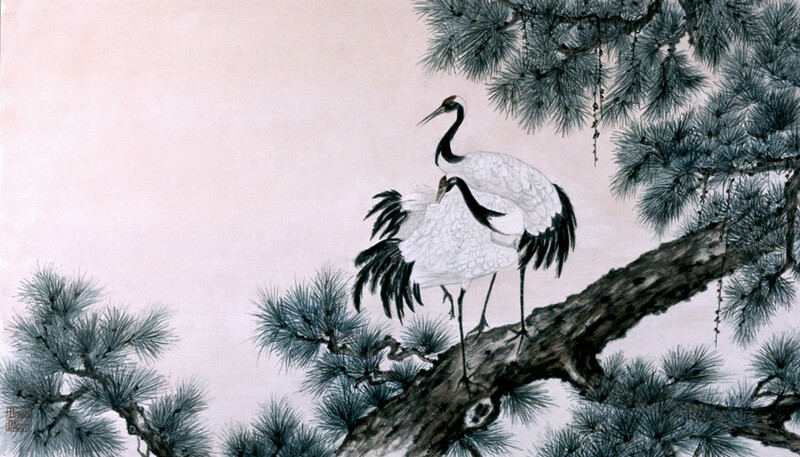 D'Acuti has taken all she has learned in her study of Chinese brush painting and made it her own. Despite her confessed impatience and high energy, D'Acuti enjoys the focus and delicacy that is required in her art. "When I'm really stressed out, I'll sit down and paint trees. It's my meditation." Today D'Acuti can be found painting in her studio in the hills of Mill Valley, or out singing jazz and blues at local bars and music halls (visit donnasings.com to hear recordings and view performance schedule). 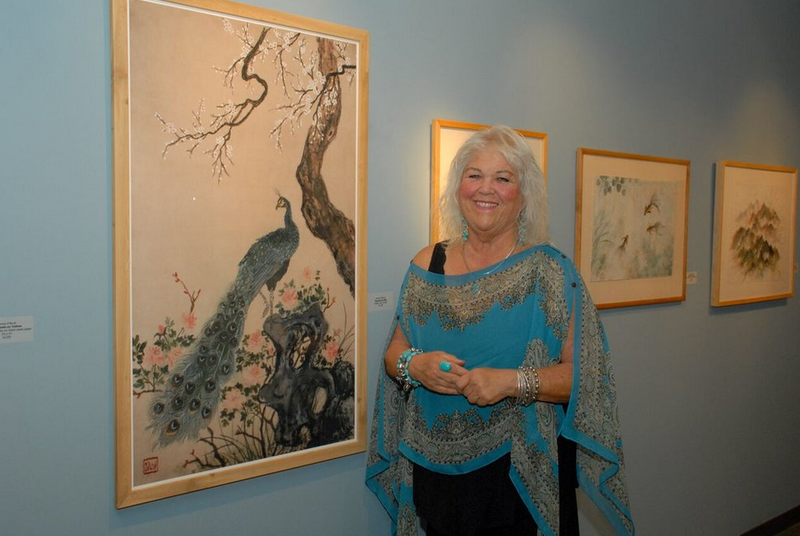 Donna D'Acuti is a singer and an artist — she's truly a woman of many talents. Sign up for my newsletter and keep up with what I'm working on! I will never, ever, never share your information with anyone. Swear!